If it’s good enough for Walter Scott, it’s good enough for the rest of us. 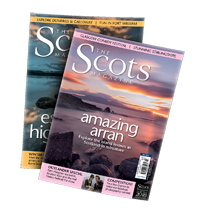 Scotland’s most prolific writer found boundless inspiration in the castles, hills and ballads of the Scottish Borders. It is a beautiful but hard land with an identity just as distinctive and formidable as any other in Scotland. 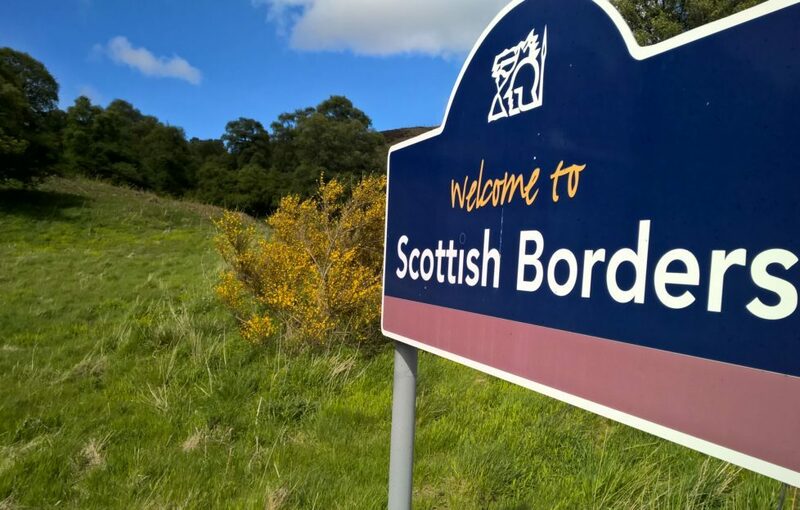 Ever since the opening of the Borders Railway, which made it far easier to explore the area by bicycle, I’ve done my best to cover this vastly underrated region which confounds expectations. Expecting easy, rolling hills I’ve instead been exhausted cycling up and down steep river valleys and over high moors. 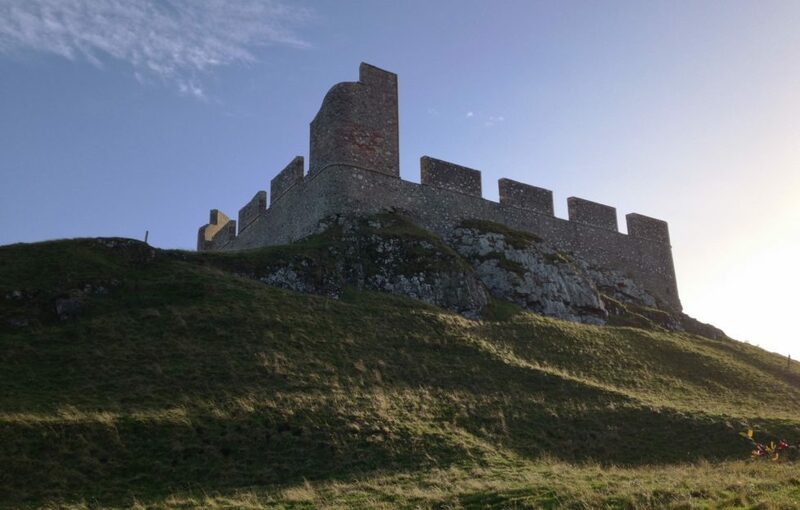 Expecting vast tracts of empty countryside I found instead a landscape teeming with history from every age, from now-vanished Roman forts to ruined abbeys and countless castles guarding every pass. Let’s focus on the castles. That’s why we’re all here, right? The reason there are so many in the Borders is that the region was, until around 1600, a law unto itself. In addition to suffering many large-scale invasions, the Borders were home to the notorious Reivers whose lovely dispositions are considered to have given us the word ‘bereaved’. Reivers assailed communities on both sides of the border and ran protection rackets comparable to modern organised crime syndicates. If you didn’t have some level of fortification, you might as well paint a giant target on yourself. Add to that the many large-scale invasions from the south over the centuries and what you get is a land where war and hardship was the rule rather than the exception. It would take far more space than this to do justice to even a fraction of the castles in the Borders, but here are a few of the ones that have me coming back again and again. 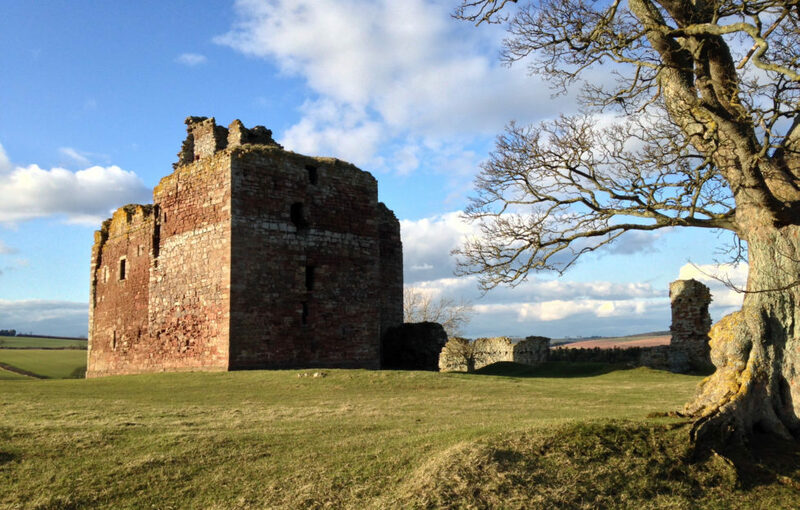 Standing a scant eight miles from the border, Cessford Castle’s primary purpose was to put up a fight. 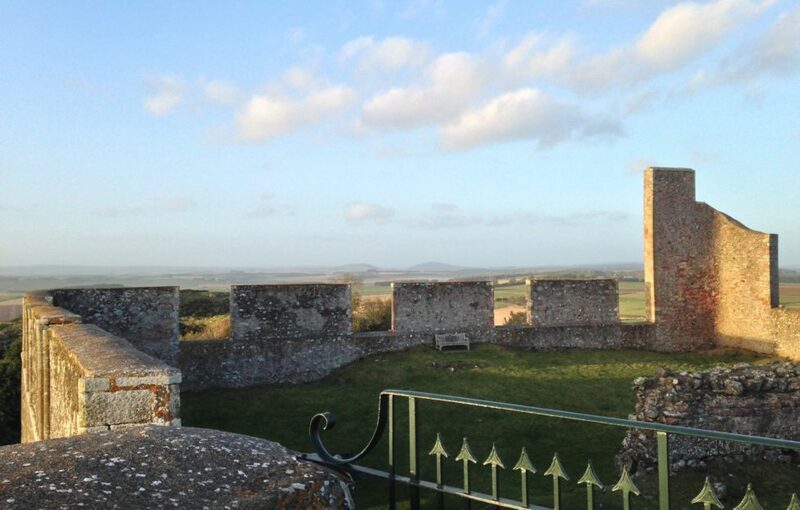 With walls over twelve feet thick, it was able to withstand direct siege on several occasions during the 16th century. The Ker family who built it had a longstanding feud with the Scotts of Buccleuch. 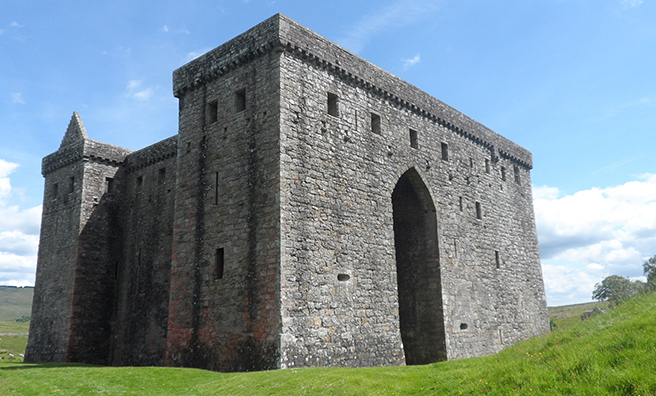 With both foreign and domestic enemies, it’s no surprise they built one of the stoutest towers in southern Scotland. We’re all thinking it – Fatlips Castle, really? 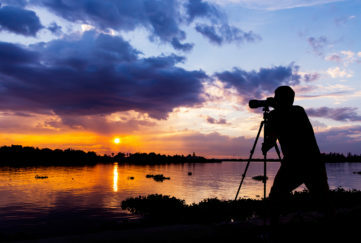 No one really knows where the unorthodox name comes from. Some say it’s from the supposed tradition of its lairds to greet visiting ladies with a bold kiss on the lips, while others suggest it’s a mocking tribute to some forgotten, unfortunately featured owner. 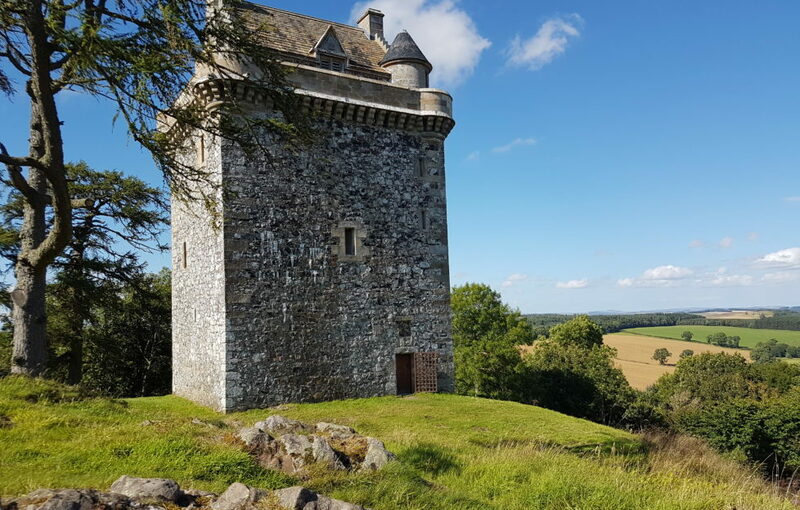 Regardless, its position atop the Minto Crags give panoramic views and it’s a fantastic example of a Borders towerhouse – not large enough to fight off the king if he saw fit to strike, but more than capable of repelling those pesky Reivers. Guardian of Liddesdale, the ‘bloodiest valley in Britain’, Hermitage is what we call a proper ‘sod off’ castle. Its hulking presence reminds me of a titan, jaws agape waiting to swallow anyone foolish enough to attack it. Its form is unique in Scotland, and fans of folklore will delight at stories of a nearby giant’s grave and the Redcap demon who stalks the ruins, ever seeking fresh blood to dye his cap. Solo castle explorers are a favourite target – my perfect archenemy! 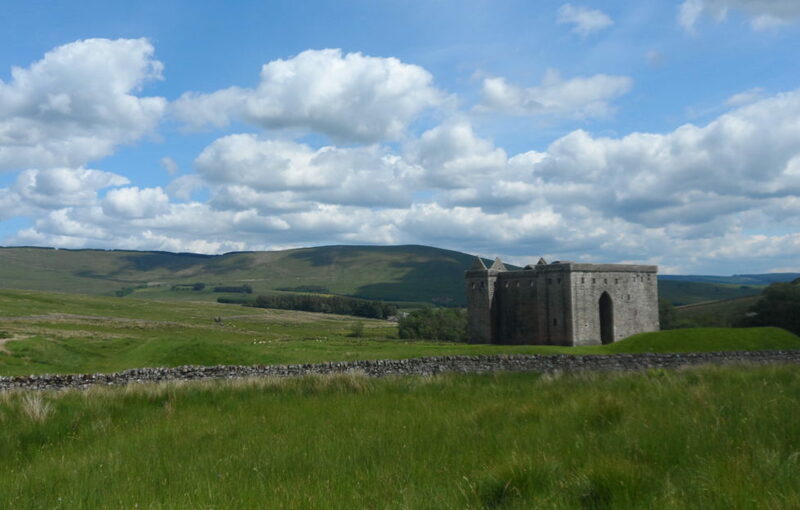 If Hume strikes you as a bit surreal, you’re not alone – it’s the only castle of its kind in Scotland and looks like it has been beamed over from the deserts of North Africa. A castle has stood here since the late 12th or early 13th centuries but what we see today is a folly, a sort of ‘toy’ castle, built in 1770 atop the old one. Walking the ramparts you feel as though you command the whole of the region, with far-off views in all directions and the outline of the castle unmistakable from miles away. 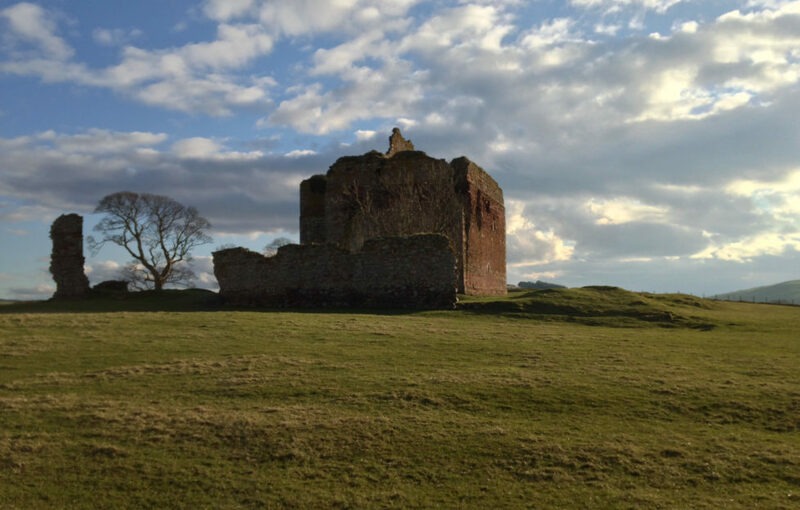 Only a few miles from Hume Castle is the tower of Smailholm, one of the best-preserved castles of its kind in the Borders. 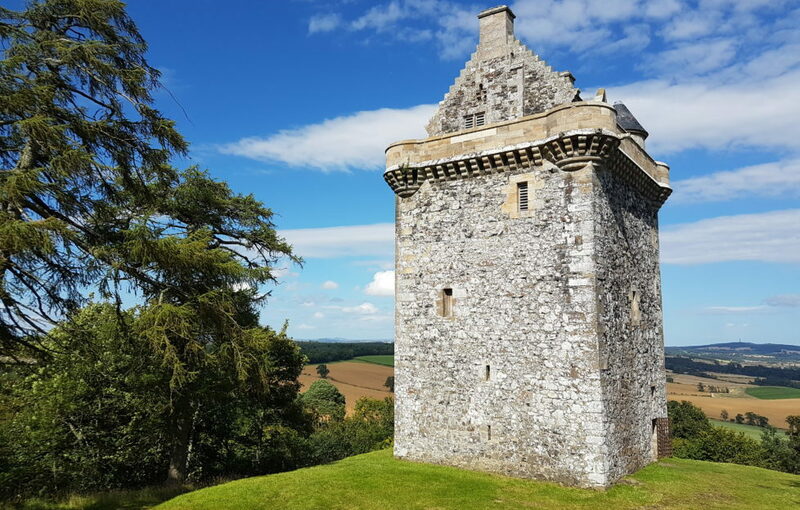 Built by the Pringles around 1450 it became a muse for the future Sir Walter Scott, who was brought up by his grandparents at Sandyknowe Farm within a stone’s throw of the tower. 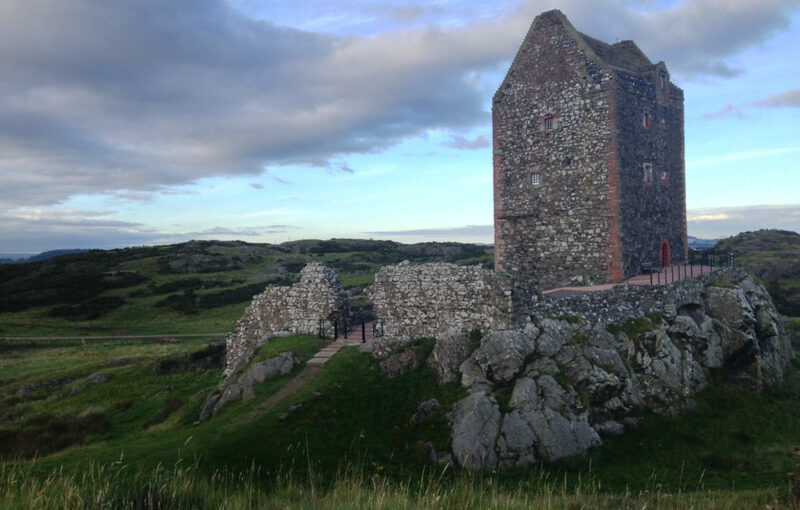 It was here that he first became enamoured with the ballads of the Borders, making Smailholm arguably one of the most significant places in the history of Scottish literature. Catch the latest from David Weinczok on our site here and on his Castle Hunter blog here!